I’m vexed by Vexed – is it moonlighting as Moonlighting? Proclaiming your new show as a “Moonlighting for the Noughties”, as director Matt Lipsey does on the BBC Comedy blog, proved to be something of a double-edged sword as Vexed‘s debut left me feeling genuinely, well, vexed as to whether this was merely a shaky start for a series with potential, or simply not that good. Even now, 48 hours after watching the first episode, I’m still unsure. Drawing comparisons with the ground-breaking 80s show starring the then unknown Bruce Willis and Cybill Shepherd certainly sets the bar high. As I have said in a previous blog, Moonlighting was a wonderful show with a distinctive style featuring rapid-fire, dialogue-heavy scripts and an experimental nature which would, for instance, see characters address the viewers direct or burst into song at random. It laid out a template which has been often imitated since. In short, Moonlighting was ground-breaking. Vexed is not. That’s not to say the series does not have potential – it does – but much of it is frustratingly untapped in this debut episode. 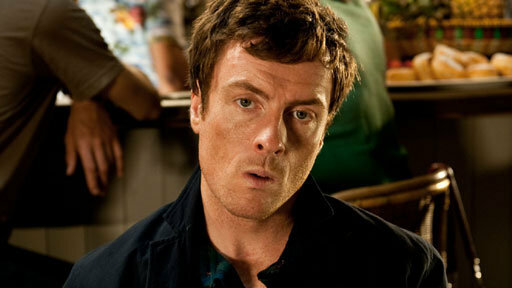 Vexed promotes itself as a comedy-drama, a cop show that isn’t really a cop show, but is more about the relationship between its two ill-matched central protagonists, Jack Armstrong and Kate Bishop, played by Toby Stephens (Die Another Day, Robin Hood) and Lucy Punch (The Class, Doc Martin). With police procedurals flooding our TV schedules – and with ITV demonstrating with Law and Order that it is very easy to produce a pale imitation of its US parent – the lack of emphasis on this aspect is welcome. The case around which the episode loosely revolves – a serial killer who is targeting lonely single women via purchases made on their loyalty card – is simple enough. (And if you hadn’t identified the killer before the mid-point of the episode you were probably half asleep.) But the heart of the story is the nascent will-they-won’t-they relationship between Jack and Kate as they are thrown together for the first time. Jack is the equivalent of Willis’ David Addison, the detective for whom the job comes a distant second to his personal mission of chasing women and having fun; Kate is Shepherd’s Maddie Hayes, his uptight, by-the-book and unwilling partner who initially appears to have nothing in common with him. It is here that the series’ wobbly foundations start to show. 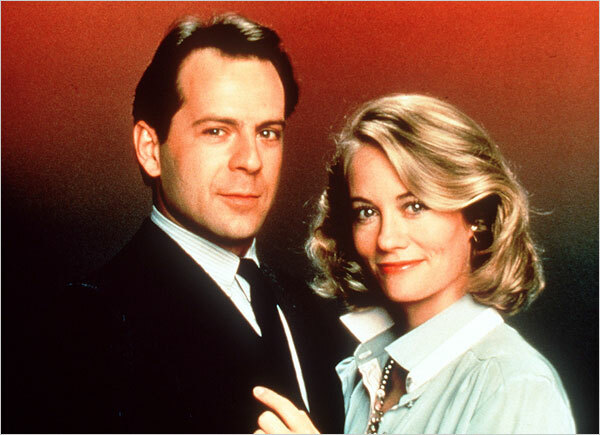 Whereas the relationship between Moonlighting‘s David and Maddie crackled with energy, Jack and Kate’s arguments struggle to muster even the slightest spark (a problem which also confounds the murderer’s attempts at self-immolation). The duo have an escalating argument in a car which ends with each attempting to talk over the other – very Moonlighting – but that is where the similarity ends. David and Maddie would have exchanged four times as many quips at twice the speed, and then jumped out of the car, slammed the doors simultaneously and continued the argument right into the next scene. Worse still is the apparent lack of chemistry between Stephens’ and Punch’s performances. Individually, there was something endearing about both Willis’ David and Shepherd’s Maddie, but together their relationship was explosive – it just worked, brilliantly. For me, Stephens appears to be trying a bit too hard to instil some quirkiness into the character of Jack, who is neither particularly funny nor sympathetic, and Punch’s Kate doesn’t really evoke any reaction from me one way or the other. Combined, I can see what writer Howard Overman (Misfits) is attempting to set up between the pair, but the chemistry simmers rather than sparkles, and at times it appears the two actors themselves are unclear whether to play a scene dead straight or to insert tongue into cheek, and consequently settle on somewhere vague in between. And perhaps this is Vexed‘s biggest problem, that it rarely deviates from the middle path in search of the extremes, where the best TV shows often reside. It is neither funny enough to be a comedy – although there were enough genuine laughs to keep me interested – nor serious enough to be a drama; instead it ends up being a slightly confused mish-mash of the two. Jack and Kate are certainly different people with different outlooks on their work, but they are nowhere near the polar opposites that David and Maddie were, which is what generated the real sparks in the dynamic between them. The writing and characterisation don’t overly help either. Jack’s maverick nature is underlined by the fact that he is willing to forego investigative work for a suit fitting appointment. (What a rebel!) Kate follows the rule book to the letter, but is consistently portrayed as being a bit dim, only to jump to conclusions about her husband in true ditzy blonde style and then behave every bit as unprofessionally as Jack does. There isn’t much depth for Punch to work with here. And overall, the plot feels pedestrian and flabby, and in desperate need of an injection of pace. It’s not all bad, though, by any means. We do see glimpses of what the series could become if it can up the comedy quotient (Jack’s inept supermarket chat-up line: “Costa Ricans – good people” is genius) and continue to self-referentially poke fun at the police show genre (such as Jack’s admission that he doesn’t know how he can afford his swanky bachelor pad on a policeman’s salary). Overall, Vexed‘s opening episode is disappointing because so much of it is a one-paced, one-note affair which would have benefitted both from being cut down to a running time of 45 minutes rather than 60, and from a critical eye to sharpen up the story and characterisation. It is doubly frustrating because the format does possess great potential to play with the hoary cliché of the straight cop/edgy cop partnership in a self-knowing, gently self-mocking way. If you like this and want to see what Vexed aspires to be, track down the DVD box-set of Moonlighting. If it can become half as good as its role model in its remaining two episodes, it could yet be a very good series. It isn’t yet, though. Not by a long chalk. Vexed continues on BBC2, Sunday at 9pm. Posted in Entertainment, Other UK series, TV & film and tagged Bruce Willis, Cybill Shepherd, Lucy Punch, Moonlighting, review, Toby Stephens, TV, Vexed. Bookmark the permalink. I somehow missed this. I think I was watching The Pillars of the Earth over on TV3 at the time. According to your blog, I may have made the right choice. I’m genuinely in two minds, James. As there are only three episodes in this first run, I will probably stick with it and hope that it taps some of that potential. But I suspect the series as a whole will end up as either a 4/5 or a 1/5, depending on which way it goes. My view is undoubtedly coloured by being a long-time Moonlighting fan too. Or maybe I’m just too old to “get it” these days? Would you agree that Moonlighting wasn’t the same once David and Maddie got together? For sure, although there are still some excellent episodes in the last couple of years. The first two seasons are quite wonderful, though, even though they have clearly aged in terms of fashions and pacing. (TV is so much faster now.) I recorded them all when they were shown daily on CBS Drama (gotta love Sky!) last autumn, and am still only about halfway through. Thanks for your comment (always nice to see what other people think of the same shows). Personally I think Vexed is more like NBC’s Life but with british humor. I’m not going so deep as analyzing the shows every bit. I think it takes less to entertain me… British shows seem to have a better characterization of it’s characters (man I can’t believe that just came out of my mouth) than American shows with less effort. I like the characters of Vexed and I kind of have high hopes that we get to see more of that in the episodes that comes. What I was supposed to say I guess is that british shows have more depth to it’s characters, tho you don’t seem to like the first episode as much as me… Sure I liked Life a lot better (and I’m never gonna forgive NBC canceling it as it had more viewers than most of the shows airing at the time and it’s the best series since Farscape). Since Vexed is a lot alike my favorite show of the millennium I kind of have high hopes for it. Still my favorite british show atm is The Deep (if you liked The Abyss you should check it out) with Luther as a close second. Identity ain’t all that bad eighter. I haven’t watched Life, but I may have to check it out. The critical reception for Vexed has not been great, although the overnight audience figure for the first episode – 2.26m – was pretty respectable. The number for last night’s show will be more revealing, though. I also read that the production company behind the programme, Greenlit, hasd reportedly gone into administration, which doesn’t bode well for its future. The first season of Moonlighting was just about as good as TV gets, although I probably wouldn’t want to watch it now for fear of ruining my memories of it. You make a good point about pacing as well. Remember when Dallas was first on? It was the most shocking, salacious programme anyone had ever seen, crammed with plot and character developments. I caught an episode a couple of years ago. Nothing happened. For an hour. Hi Jed, thanks for popping over. Moonlighting was tremendous up until the point when the producers decided it would be a good idea for David and Maddie to consummate their will-they-won’t they relationship. It’s still wonderful to watch (I’m halfway through the full set at the moment), once you have adjusted to the comparatively slow pace. I wasn’t a Dallas watcher, but I did catch half an episode of its great rival Dynasty a few months back – CBS Drama really is God’s gift to children of the 80s! – and had much the same experience. Glitzy, yes. Eventful, no. I find it interesting how we have become so accustomed to the incredible pace of modern TV shows, which only becomes obvious when you tune in to a repeat of something older. Contemporary hour-long shows fit so much into their 42 minutes – far more than their predecessors did in 45-50. It makes us hyper-sensitive to programmes which aren’t tightly written and ruthlessly edited to within an inch of their life. Sadly, Vexed seems to fall into this category based on the first episode. I’ll see if I think the second one is as poor as you suggest. It isn’t just adult programmes which have picked up the pace. Have you seen (he asked, safe in the knowledge that you will have) Spongebob or the remarkable Phineas and Fern? And can you imagine how children and parents would have reacted to something like that 20, 30, or 40 years ago? We had a discussion a while ago over at Unpopcult about Moonlighting and how it all went wrong post-coitally for the show. I was ultimately persuaded that writers have ever since been using this as an excuse to run for season after laborious season with uncomsummated will-they-won’t-they relationships (House, Chuck and Castle off the top of my head – there are lots of others) in the mistaken belief that to bring the characters together would ruin the shows for ever, rather than rising to the challenge of writing about characters in a relationship. House and Chuck have folded, although I gather that Castle’s holding out – the characters are in different places, or something, even though it’s pretty obvious they want to be in bed together. House, Chuck and Castle are all on my buy-the-boxset-one-day-and-just-watch-them list, with House now approaching the point where I will be forking money out to Amazon, somnething I haven’t done in at least, ooh, 36 hours. Did someone mention Buffy and Angel…*sigh* I still miss those two. What kind of a sports day Dad am I?